This is a Print by the artist George Generali.500mm x 1000mmMetropolis Vista I Box Canvas .. This is a Signed Limited Edition Print by the artist Jamie Boots.85mm x 230mmEdition of 49.. This is a Signed Limited Edition Print by the artist Jamie Boots.180mm x 280mmEdition of 4.. 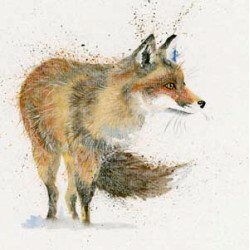 This is a Signed Hand Embellished Limited Edition Print by the artist Kay Johns.150mm x 150mm .. This is a Signed Limited Edition Book by the artist Leigh Lambert.Fantastic new Limited Editio.. This is a Signed Limited Edition Giclee Print by the artist Noel Ripley.127mm x 76mmEditio.. This is a Signed Limited Edition Print by the artist Pam Carter. 400mm x 470mm Ed.. This is an Open Edition Print by the artist Pela.200mm x 500mmButterfly Messages II Box Ca.. This is a Signed Contemporary Art Print by the artist Simon Harmer.420mm x 279mmHand Signe.. This is an Signed Open Edition Print by the artist Simon Harmer.420mm x 279mmHand Signed P..